Each year the City of Timmins welcomes many visitors to the city. Some come to compete in the Great Canadian Kayak Challenge which just happens to be ranked as “Best in it’s Class” paddling events or come to enjoy the Star and Thunder concerts, visit friends and family or to enjoy the many lakes, streams, rivers and reservoirs in the area. Here are five water bodies in the Timmins and Area that host an abundant of trophy and pan size fish that are easily accessible by boat or shore. The Mattagami River runs through the Heart of Timmins. This section of the river has two dams, the Wawaitian Dam on the upper end and the Sandy Falls Dam which is located down current. Don’t let that deter you from fishing it as many residents and visitors head down to the river for a quick fish throughout the day to either kill some time, for a morning, afternoon or after dinner fish and for good reason. Anglers can expect to catch several different fish species such as Walleye, Pike, Perch, Whitefish, Suckers, Brown Bullhead, and even some of the Smallmouth and Rock Bass which have found their way into the river over the years. It is also possible to catch Speckle Trout in some areas. With the reintroduction of Lake Sturgeon back into the system in 2002, thanks to a joint effort between the Timmins Fur Council, Club Navigateur, MNRF, OPG and Domtar, anglers now have an opportunity of catching a Dinosaur. One Quick note is, if you do happen to catch a Sturgeon, make sure to have your camera handy to snap a quick picture as there is NO Possession on them and they must be released quickly. Anglers can easily launch their boats at the double wide cement boat launch that is just off Riverside Drive. If you are travelling west, turn right just before the bridge on Riverside Drive and if travelling east, turn left right after you cross the bridge. Next to the boat launch are walk ways that are wheelchair accessible to a number of docks that residents and visitors can fish off. Anyone looking to get away from the crowd can fish from any number of spots that are located along the walking/bike paths which follow a section of the river from the Mattagami Bridge to the Laforest Bridge which are on either side of the river. Kenogamissi Lake which happens to be part of the Mattagami River System has a rich part of fur trade dating back to 1794. Anglers, tourists, or campers can read about the history on the historical plaque next to the public boat launch which is situated next to the Cache Camp Ground. To get to Kenogamissi Lake head west from Timmins on highway 101 until you reach the turn off to highway 144. Turn left onto highway 144 and drive approximately 20 minutes until you see the Cache Campground sign. Follow the road until you see a Y in the road. Turn right at the Y until you reach the public cement boat ramp. With the Upper Dam located up river and the Wawaitin Dam down river, Kenogamissi Lake is a narrow reservoir that offers anglers 40 km of numerous points, sunken humps, islands, flats and shallow timber flats to dissect. Anglers have the option to fish for either trophy or pan size Pike, Walleye, Perch, Smallmouth Bass, and Whitefish. 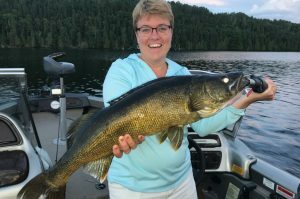 For the family looking for a place to catch fish and build memories, Kenogamissi Lake offers them a chance to catch a variety of fish species due to abundant of fish in the system. Kenogamissi Lake offers visitors two camp sites to stay at. They are the Cache Campground located off of highway 144 and Wild Exodus which is located down Dalton Road. For more information on lot fees, cabin rentaals, boat rentals and how to get there, Please visit the Cache Campground at http://www.cachecampground.com/ or Wild Exodus at http://wildexodus.com/. A little further south of Kenogamissi Lake on highway 144 is Mattagami Lake. With 60 kilometers (40 mikes) of water ways, anglers have an opportunity to explore the many sunken humps, weed beds, rock and sand points, and flats throughout the system..
With so much structure throughout the system, anglers can either target eating size or trophy Pike, Walleye, Perch, Smallmouth Bass, and Whitefish. Thanks to the efforts of Mattagami First Nation, to help sustain a healthy Walleye population in Mattagami Lake, council agreed to build a Walleye Hatchery in 2012. Today the hatchery is use for both Walleye and Speckle Trout. To get to Mattagami Lake you would to head west from Timmins on highway 101 until you reach the turn off to highway 144. Drive for an hour until you see the turn off sign to Mattagami First Nation. Turn left and drive until you reach the Mattagami First Nation Reserve. Keep driving straight until you reach the boat launch. Once at the boat launch you are now able to fish the upper sections of Mattagami Lake. To fish the lower section, head the same way from Timmins on highway 101 west and then turn off onto highway 144. Drive for approximately forty five minutes until you see a green sign called Mattagami Road. Turn left and drive for one km. on a gravel road until you reach the launch. Both have good cement rams to launch your boat. Hidden in Northeastern Ontario, just outside of Timmins lays a true gem, Horwood Lake. With 13,702 acres of water and 110 miles of shoreline you won’t want to miss out on fishing this water body. Horwood Lake is a reservoir that has many inlets and creeks that flow into it. One such river is the Old Woman River. Here anglers are taken back by the water falls that dump into Horwood Lake. With the many sand and rock points, rock humps, wooded coves, weed beds and varies water depths an angler has the opportunity of targeting the healthy population of pan size or trophy Pike, Walleye, Perch, Whitefish, and Smallmouth Bass that swim throughout this system. To get to Horwood Lake from Timmins, take highway 101 west for about 80 km., until you see the Big Bear Sign on the left side of the highway. Turn left and follow the signs that will bring to Big Bear Camp. There are three boat launches, one is at Big Bear and the two others are public launches which are located about one Km., pass Big Bear. The gravel launch is the better of the two as the cement launch has a underwater boulder that can damage your trailer if you are unfamiliar of it’s where about. There are three lodges on Horwood Lake. They are Horwood Lake Lodge : http://www.horwoodlakelodge.com/ , Big Bear Camp : https://ontariolodges.com/big-bear-camp/ , Horwood Outpost : http://www.horwoodoutpost.com/ . 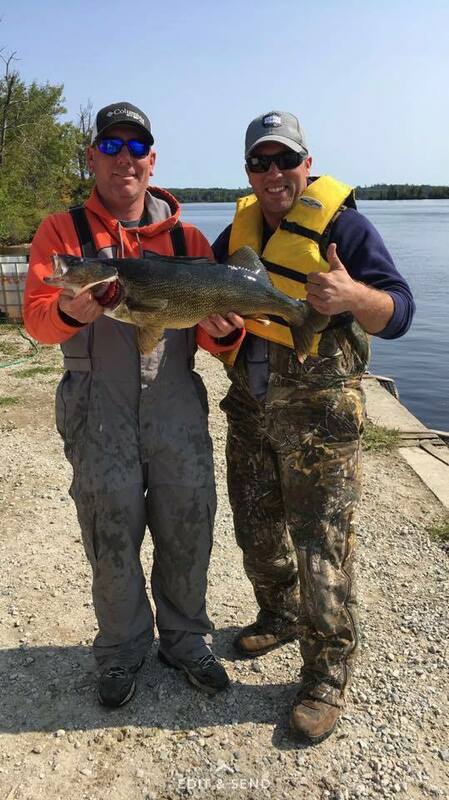 Kamiskotia Lake is a small lake that has one of best Walleye populations in the Timmins Area. The lake has an inlet river flowing into it and an outlet creek that flows into the Mattagami River below the Sandy Falls dam in Timmins. 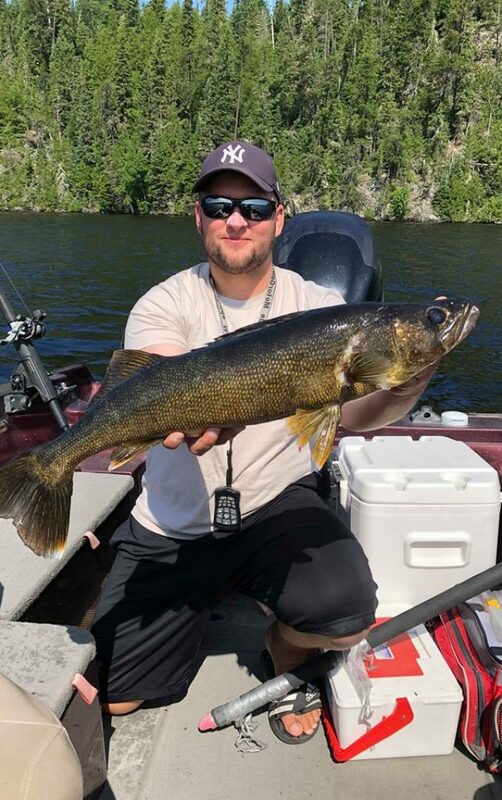 The lake is relatively shallow that has plenty of weed growth for the Walleye, Perch and Northern Pike to ambush their prey from or bury themselves into on those bright clear hot days. Here anglers can troll weed lines by either trolling spinner rigs or jigging and catch a limit of nice pan size Walleye or Perch throughout the day and evening. 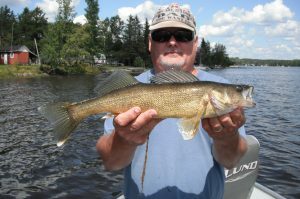 With two islands, when the wind is blowing, anglers fishing these bottle neck areas can catch numerous Walleye and have a shot at catching a true trophy size Pike that curse these areas. Local anglers without boats fish next to a culvert next to the Kamiskotia highway and for good reason. With a steady current that flows out of the lake makes for an ideal spot to fish on those overcast days or at sunrise or sunset. To get to Kamiskotia Lake, head west from Timmins on highway 101 until you see the Kamiskotia Ski Hill sign which is approximately 1 kilometers pass Guiho Saw Sales and Marine/ Guiho Bait N Tackle. Drive approximately 30 to 40 minutes until you see Kamiskotia Lake that will be on your left hand side. Drive for about five minutes more until you see a picnic area and turn left. Here anglers can launch their boats on a cement boat launch. 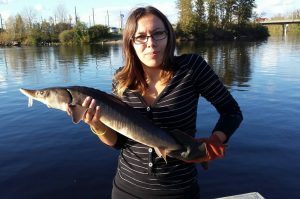 The next time you’re planning your vacation or coming up for one of several events hosted by the City of Timmins, be sure to check out these water bodies and enjoy a nice meal of Fresh Fish.